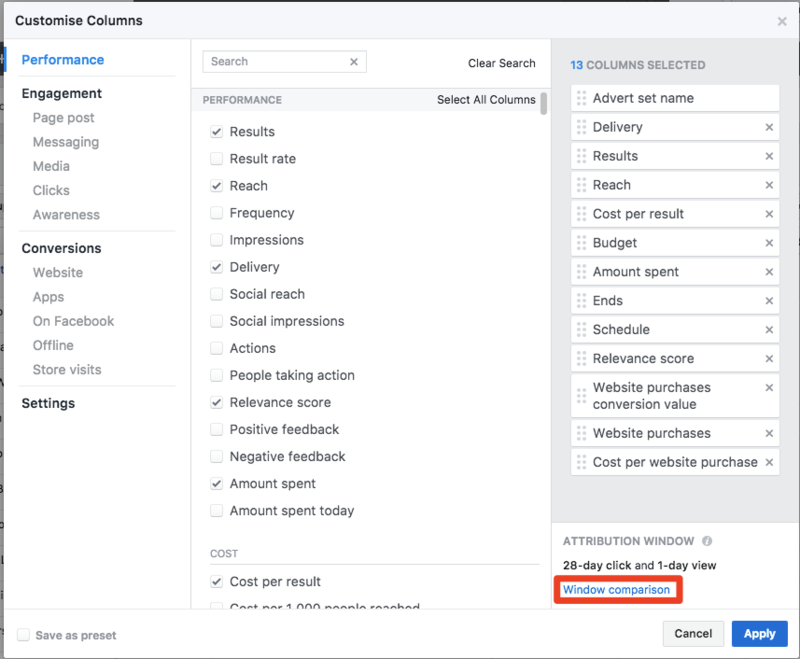 Choose the attribution window you'd like to use. 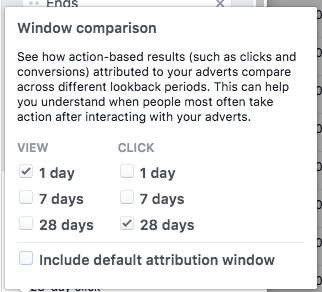 We report to you, Facebook's default which is 28-day ClickThrough and 1-day ViewThrough. Now just apply, and you will see separate columns for each!